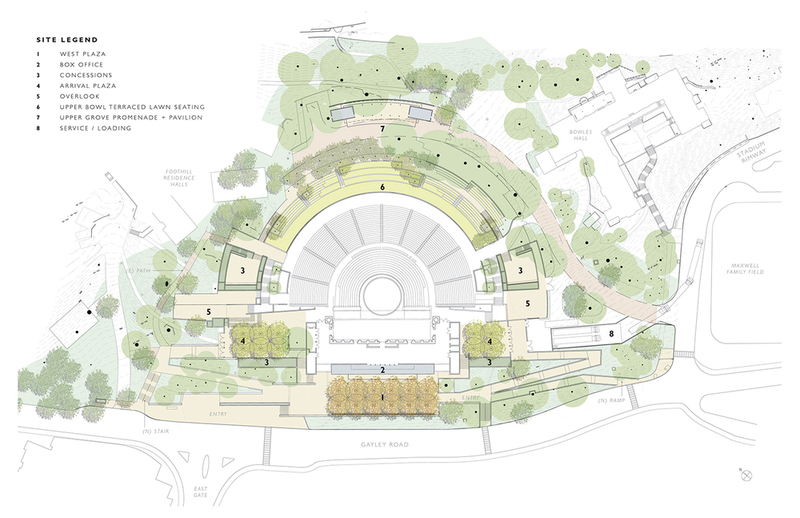 The site and landscape Master Plan developed for the Hearst Greek Theater sets the stage for expanded long-term use and enjoyment by the UC Berkeley community. “The Greek” is a site with a rich natural and cultural history, and one with an extremely strong emotional connection for generations of students and concert goers. 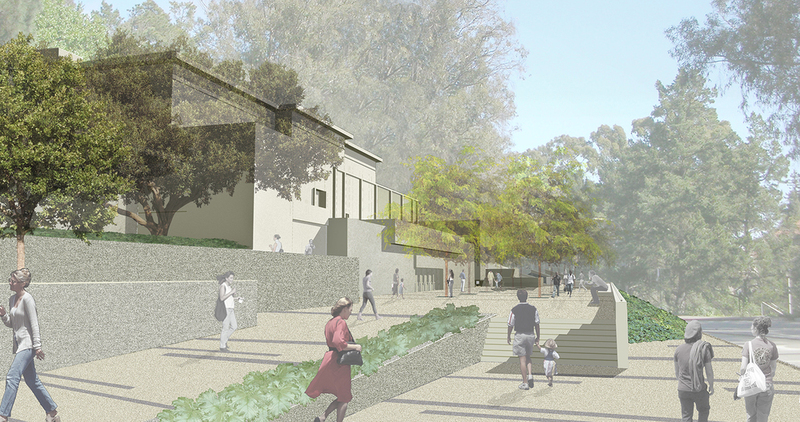 The over-arching image of UC Berkeley is that of a classically designed campus within an extraordinary natural setting. The juxtaposition of formal architecture, axial views and circulation spines with the wild, informal and densely wooded character of a central riparian corridor defines its unique character. 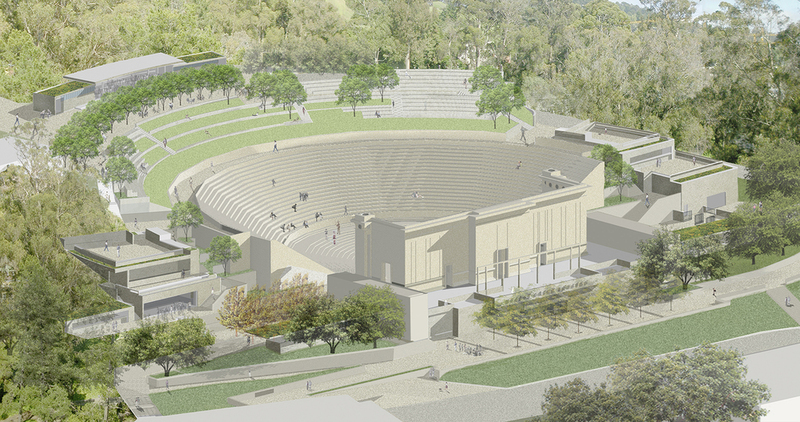 The site and landscape Master Plan enfolds the Hearst Greek Theater in this rich campus core while enhancing its natural setting. The Master Plan employed strategies of creative, integrated, and phased development scenarios and early budget forecasts that included immediate life safety improvements and code upgrades, as well as fundraising strategies to achieve a long-range vision for significant structural change. Phase I construction was completed in 2012, and the project received a 2013 California Preservation Design Award.